This week on The Urban Business Roundtable, UBR Contributor Renita Young speaks with powerhouse philanthopist and entrepreneur Cookie Johnson about her CJ by Cookie Johnson denim fashion enterprise. Johnson talks about her denim clothing line, CJ by Cookie. This week on The Urban Business Roundtable, UBR Contributor Renita Young speaks with powerhouse philanthropist and entrepreneur Cookie Johnson about her CJ by CookieÂ Johnson denim fashion enterprise. The wife of NBA legend Earvin “Magic” Johnson launched her clothing line in 2009 and has enjoyed notable success, including making the coveted Oprah‘s Favorite Things list. 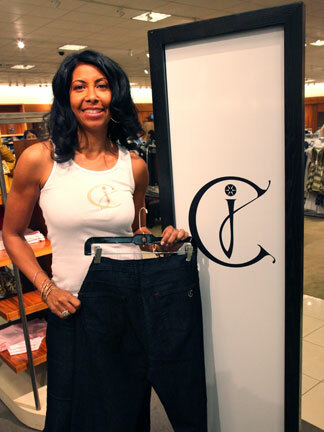 Johnson conceived of CJ by Cookie jeans, which can be found in Nordstom’s and Bloomingdale’s department stores across the country,Â as a premiumÂ denim line for “curvy” women, designed to fit the real-world, real-life figures of active, fashion conscious women. Johnson takes her seat at the roundtable to share what it took to launch CJ by Cookie, what she does to keep the venture going and her future business goals. Also on this week’s edition of The Urban Business Roundtable, our Executive Producer TaQuoya Kennedy speaks with TJ Walker, CEO of Media Training Worldwide. Walker’s mission is to help his clients to speak and present more effectively for both live public and media appearances. With a portfolio of clients including Microsoft, Bank of America, Charles Schwab,Â AllState and the Miss Universe organization, Walker has coached presidents of countries, prime ministers, Nobel Prize winners and thousands of corporate executives. Walker joins the roundtable to share tips on how entrepreneurs can better serve their business objectives by speaking more effectively. In addition, every week on UBR, you’ll get motivation and inspiration from author and entrepreneurial icon Farrah Gray, a weekly wrap-up of business news from USA Today Business Correspondent Charisse Jones, our Patient Investor Report from Ariel Investments and key economic intelligence for small business owners from our UBR Economists Derrick Collins and Rasheed Carter. And finally, I’llÂ recommend two must-read books for aspiring entrepreneurs who plan to launchÂ new businesses inÂ 2011: Black Business Secrets: 500 Tips, Strategies, and Resources for the African American Entrepreneur by Dante Lee, andÂ Â Become Your Own Boss in 12 Months: A Month-by-Month Guide to a Business That Works by Melinda F. Emerson. I’ll also be sharing a special discount code that will allow UBR listeners to knock more than 50% off of the cost of registration for the Black Enterprise Entrepreneurs Conference, slated for May 22-25, 2011 in Atlanta. 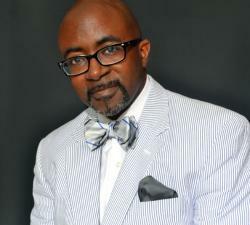 Alfred Edmond Jr. is the senior VP/editor-at-large of Black Enterprise and the host of the Urban Business Roundtable, a weekly radio show, sponsored by Ariel Investments, airing CST Wednesdays at 8:30 a.m., Thursdays at 6:30 p.m. and Saturdays at 9:30 a.m. on WVON-AM 1690, the Talk of Chicago. You can also listen live online at WVON.com. Check back each Wednesday for The UBR Morning Post, which features additional resources, advice and information from and about the topics, entrepreneurs and experts featured on the show.